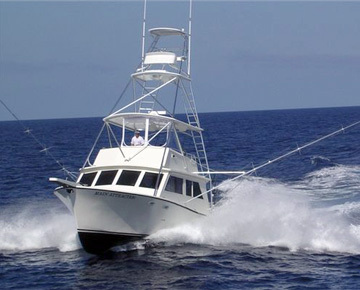 Trolling is a fishing method that is done by steering the boat at a set pace and towing a line and lure or bait behind the boat. 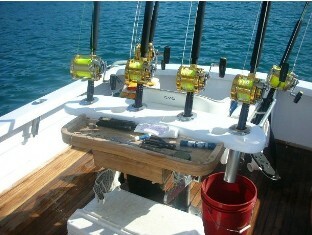 The movement of the boat will give the lure or bait a life like look. 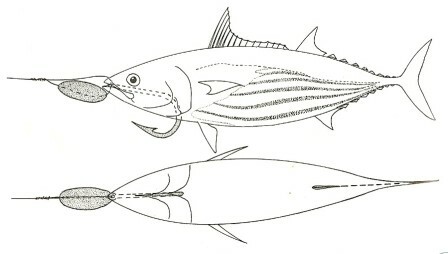 Marlin and various other species can be caught by trolling. 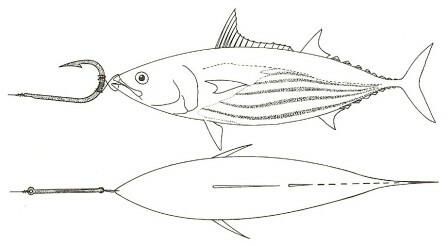 The picture diagrams below will explain how the bait should be hook to give it the right look as if it was alive. 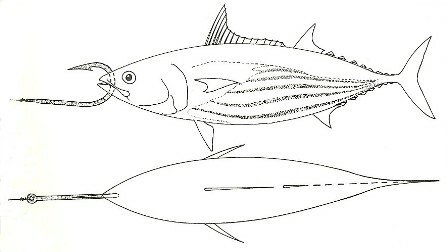 Live fish can also be trolled and the diagrams below will also cover how to hook live bait. It is important to hook the baits right so that the angler can achieve the best results. This is called the Oval sinker rig and is only used on dead bait or the sinker can be removed and this method used for live bait trolling.